A page-turning debut novel about a traveling salesman who arrives to sell dreams to a town rocked by a child’s disappearance—both a thoughtful meditation on grief and magical exploration of our innermost desires. An unusual man, Robert Owens, came to town to sell bottled dreams, each specifically made for the buyer's hidden cravings. In spite of subtlety, it became apparent that almost everyone in town is buying from Mr. Owens. People want to live inside their dreams more and more. And soon enough, varied motives are pushing Mr. Owens out of town - suspicions, gossips, and lies. Ms. Martine can weave exquisite phrases, fully vivid, it can transport the reader. She assembled a dynamic cast for her story. Between them, layers of character development and contrasting emotions pushed the narrative forward. Themes of holding on and letting go are evocatively knitted. The ending could have been better, though. I believe it does not give the well-built plot justice. 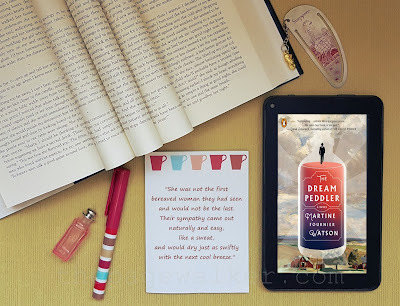 Overall, THE DREAM PEDDLER is an engaging book. Anyone who loves good tension and emotional examinations in the plot will enjoy this. And I will look forward to Ms. Martine's future works. *Thank you Penguin Books and Edelweiss for DRC, in exchange for this unbiased review. PHAEDRA PATRICK’s unassuming protagonists have charmed the hearts of many readers across the globe. 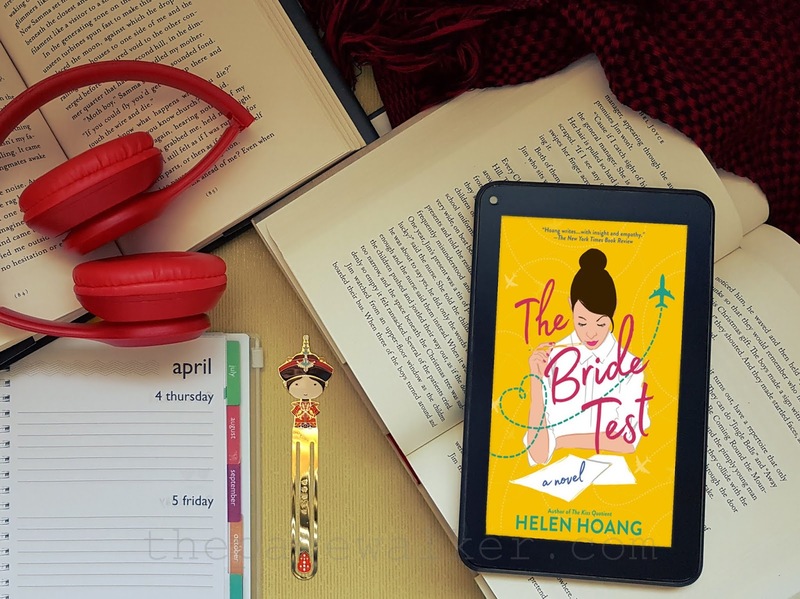 First, there is Arthur from The Curious Charms of Arthur Pepper, a sexagenarian widower who discovered a charmed bracelet from his late wife’s wardrobe, followed all the clues to rediscover her, and sends him on an intriguing journey to rediscover his self, as well. Next is Benedict from Rise & Shine, Benedict Stone, a jeweler who desperately needs to revamp both his shop and marriage and he has all the gems to do it. And now on her most-awaited third novel, The Library of Lost and Found, we have Martha Storm, a quiet librarian roused by a book to find the truth about her grandmother’s death, the past, and her destiny. I’m sure you are as interested as I am on how Ms. Patrick comes up with these wonderful people. 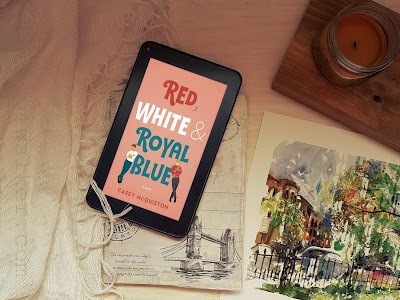 I read your article in Women Writers, Women's Books, Why I Write, by Phaedra Patrick, where you mentioned, “I write because I have characters in my head, who create a fuss until I share their stories. They want me to kick start their adventures and hold their hand, to take them to a better place in their lives”. To start this Q&A, which character made the most fuss in your head? 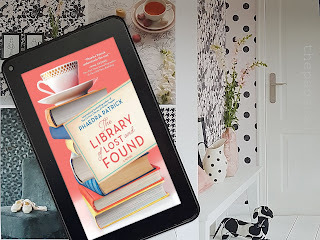 Phaedra Patrick: Martha Storm, my heroine in THE LIBRARY OF LOST AND FOUND, wanted to be heard. I think she was fed up of being taken advantage of by others and asked me to help find her own voice. I usually start off my stories with an object in mind – a book, charm bracelet or gemstones – but with this novel, it all started with an image of Martha pushing a shopping trolley up a steep hill towards a small library. Is it the same with secondary characters? Do any of them clamor to be heard over the others? Phaedra Patrick: In this book, Martha’s grandmother Zelda has a loud voice, both in my head and on paper. She’s an important part of the story and has a big reason for disappearing from Martha’s life for a long period of time. I think I gave her the opportunity for her own story to be heard. Your main characters are all quiet, uncomplicated people, but seem to be creatures of habit. Is there a particular reason why you chose them? Phaedra Patrick: I’m a real introvert, happy with my own company and people often describe me as quiet. 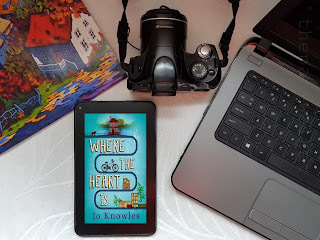 I can find places with lots of noise and crowds a little overwhelming, so when I’m writing a book, which usually takes around ten months, I suppose I like to spend that time with like-minded characters who I’m comfortable with and understand. Although all books say that all the characters in the book aren’t real or related, are they really all fictional and made up? Phaedra Patrick: The character of Martha Storm comes from a few sources. One day I found my mum sewing new elastic into an elderly neighbor’s underwear and I thought this was taking helpfulness rather too far! A lovely friend of mine likes to help out charities and local causes and her house is always full of carrier bags of stuff she’s doing for others. Another friend has been in an emotionally controlling relationship for a long time. So, these threads came together and formed the inspiration for Martha and her life. But once I had written a few pages, Martha took on her own personality and became a real person to me. Some other characters in the book are woven together too, whereas others are totally fictitious. I sometimes like to picture my favorite actors playing the parts, and I write for them. Reading your books is like taking a long walk with these characters, sharing their journey. Have you ever incorporated a real-life situation from your own experience in the book? Phaedra Patrick: Yes, many times. There is actually very little in my books that haven’t arisen from a real-life situation that I, or someone close to me, has experienced. They are works of fiction but also very personal too. For example, there’s a scene set on a ghost train in THE LIBRARY OF LOST AND FOUND that is based on my own love of fairgrounds. The seaside setting for the book is inspired by the North Yorkshire coast of England, which is full of tiny fishing villages and houses perched on top of cliffs. Martha’s grandmother Zelda has undergone an operation in the book (I’ll hold back on any spoilers) which was based on something that happened to my dad. In my debut novel, THE CURIOUS CHARMS OF ARTHUR PEPPER, one of my favorite scenes is where elderly widower Arthur ends up shedding his clothes for art students. It’s based on my own experience of when I was an art student and also worked as a waitress in a pub. I went into college one day and found that one of the (middle-aged) ladies I worked with at the pub was also a life model. She took all her clothes off and I had to draw her. I was only sixteen at the time and was horrendously embarrassed. The scenario came to mind as I was writing the book and it inspired me to place poor Arthur in a similar position. Have you ever written a character based on the real you in some part? Do you often project your own habits onto your characters? Phaedra Patrick: All my characters have shades of me in them. Martha Storm’s inability to say ‘no’ was something I shared with her for a long time. She’s a real planner and organizer too, with a keen eye for detail, and that’s also a trait we have in common. In your latest book, The Library of Lost and Found, Martha Storm is a lovely character. But if you would describe Martha Storm in three words, what are they? Phaedra Patrick: Helpful, hibernating, vulnerable. Being a woman yourself, what’s the most difficult thing about writing female characters? Phaedra Patrick: I have to fight the urge to write makeover scenes, hair, and make-up etc. Martha Storm has one on the book, and that means I can’t write anymore in subsequent novels. 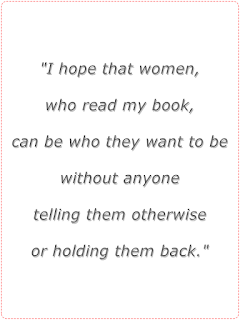 Other than that, I suppose I just want to write female characters that other women can relate to and cheer on, and hope that I do them justice. Most often than not, female characters in fairytales are damsels in distress. What are your hopes for women in integrating fairytales in your latest book? Phaedra Patrick: Female characters in fairytales might start off as damsels in distress but I think many are also strong women who make decisions and act courageously. For example, Cinderella chooses to go to the ball against the wishes of her stepsisters, and Little Red Riding Hood has to outwit a big bad wolf. The fairytales in THE LIBRARY OF LOST AND FOUND have a few dimensions for me. They’re influenced by my childhood love of fairy stories, and books bought for me by my parents that I still cherish. They hold up a mirror to what is happening in Martha’s life, and hers is also a kind of rags-to-riches type of story. 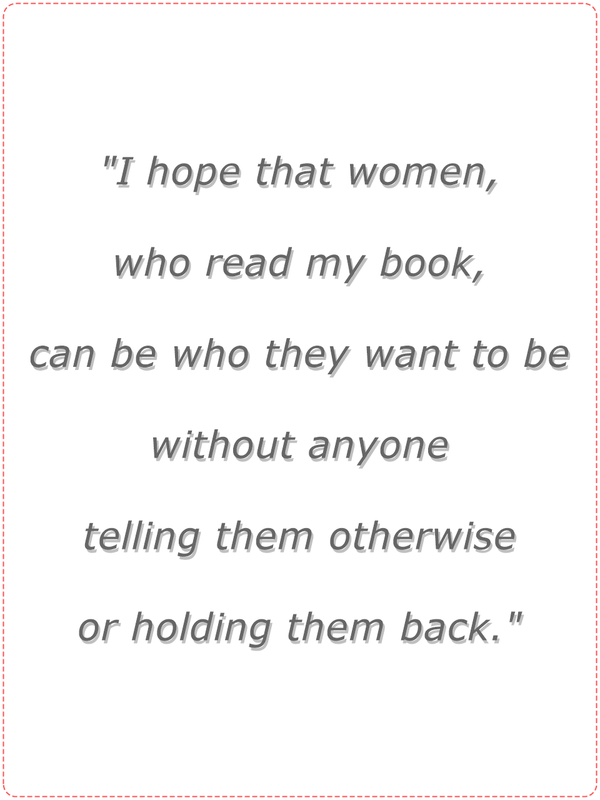 I hope that women, who read my book, can be who they want to be without anyone telling them otherwise or holding them back. It’s very touching when readers drop me a line to say they’ve identified with a character or issue I’ve written about. Also, if they enjoyed a book enough to share it with a friend, family member or reading group. It’s something I really appreciate. I like meeting those unexpected people in your books; people who turn out to be totally different from what I anticipated. Do you plan them ahead? Or do they come into the plot as you write it? Phaedra Patrick: They kind of turn up as I write and most have various hints of real characters about them. They can come from the tiniest of details, a yellow tooth, a pair of blue trousers I used to own, or someone’s bad habit. I’m an avid collector of people and places and ideas in my head, and all these come out when I’m writing. In this book, Zelda came from my own grandma, who was rather feisty and could be a little indelicate with her words. Owen, the lovely male bookshop owner, took inspiration from the actor Brendan Gleeson, who I admire and can imagine playing the part. In The Library of Lost and Found, which female character would you like to meet in person and why? 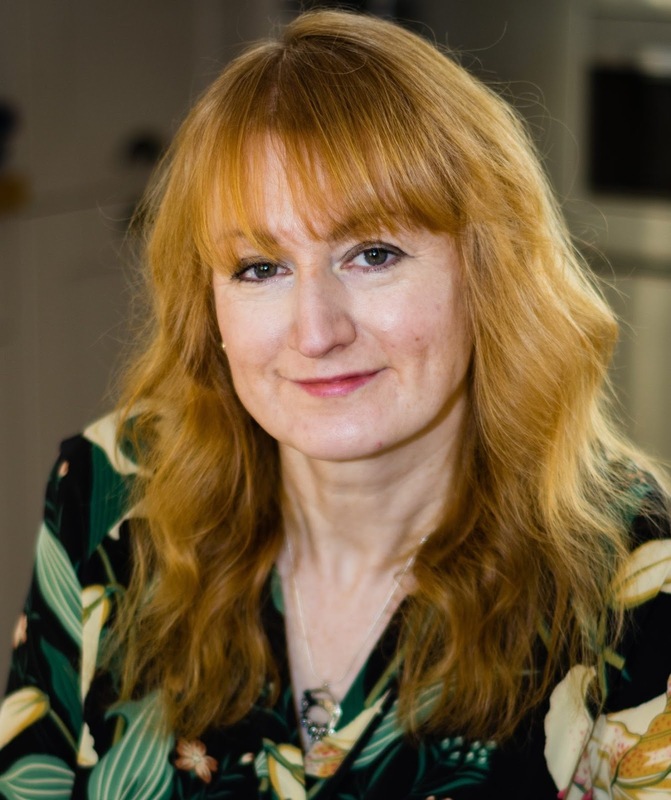 Phaedra Patrick: Although it would be great fun to spend a day at the funfair with Zelda, I’d probably get motion sick from all the fairground rides she’d make me go on. So, I’ll choose Betty Storm (Martha’s mum) instead. Betty came to my story a little late on, as I was writing, because I think she was too timid to come out for a while. I’d like to tell her that you only get one life and she should do what’s best for her family but also think of herself too. Lastly, [considering your three books,] are there certain characters you would like to go back to? Phaedra Patrick: After I’ve told my characters’ stories, I see them carrying on their lives in a better place without me. I’m quite convinced they are out there somewhere in the world and I know how their stories continue, even if I don’t write this down. Thank you for giving us a deeper understanding of your book characters. It's very lovely to have this chat with you. Phaedra Patrick: Many thanks for your questions and the opportunity to answer them. PHAEDRA PATRICK is the international bestselling author of THE CURIOUS CHARMS OF ARTHUR PEPPER, and RISE AND SHINE, BENEDICT STONE. She has been published in over 20 languages worldwide and is the winner of the Prix des Lectrices Milady 2017. THE LIBRARY OF LOST AND FOUND is her third novel and will be published by Park Row on 26 March 2019. You can follow Phaedra on Twitter here and learn more about her on her web site here. and they want me to confess. Sara Collins presented a very strong narrative. Her approach to scientific racism is intriguing. And her command for intricate language is captivating. Every other paragraph is amazingly quotable. It's 1826, and Frannie Langton stands in a trial for the murder of her master and his wife. The enigma lies in the fact that Frannie cannot remember if she did murder them or not. As her lawyer prepares for her defense, she was asked to write her story. But Frannie's story did not begin in London, it began in Jamaica, where horror is next to existing. 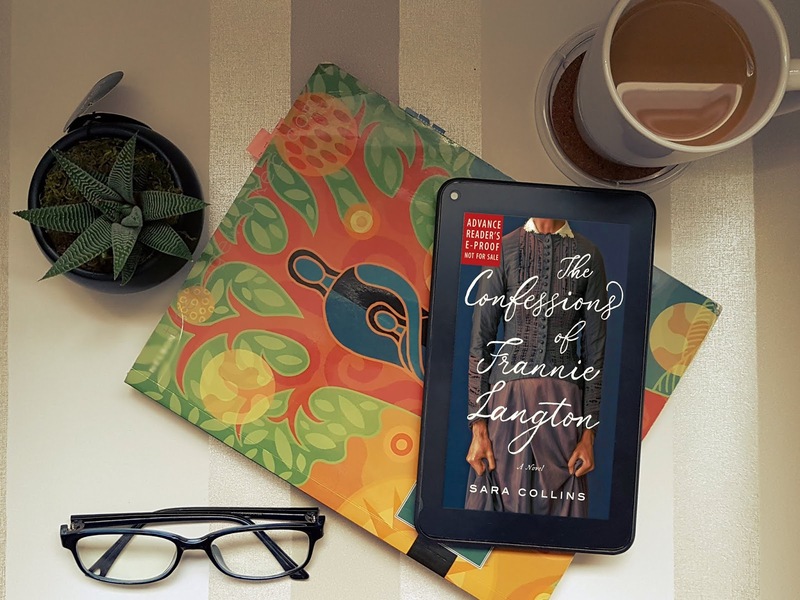 THE CONFESSIONS OF FRANNIE LANGTON is dark and disconcerting. 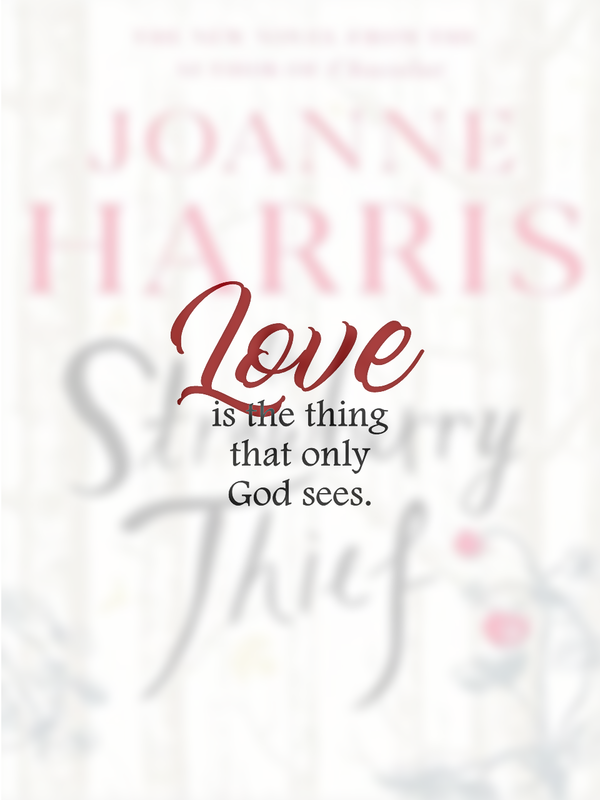 Frannie wants so much out of life, but she is always tethered against her will. The oddity struck me, though, that for a self-proclaimed learned woman, Frannie was not level-headed. Maybe, that is not actually a sine qua non, especially for someone overwhelmed by both love and detriment. It felt like her efforts for recognition was justifiable but goalless. These certainly stirred emotions and opinions. This book is a unique take and exploration of black slavery and homosexuality. It's a well-researched book and I like how the unraveling details were spread out. Unfortunately, the narrative dragged itself towards the ending. There are too many layers in the story vying for attention. It was the beautiful language and the mystery behind the crime that mostly kept me reading. I look forward to Ms. Collins future works. *Thank you HarperCollins and Edelweiss for the DRC in exchange for this unbiased review. --both as a writer and a son. James Smale and I have one thing in common - both of our mothers love the Kennedys. And for a time, my mother used to dress like Jackie O. too, accessories included. My siblings and I were never prouder than when introducing her to everyone in any school functions. I am sure James feels the same for her mother, she was his greatest ally. Most mothers would be excited if their son writes a novel based on them... but unexpectedly, not here. This is a story of a young author in the cusp of publishing his debut novel, The Quarantine. But his editor, Mrs. Onassis, insists on a great ending. So, she sends James home, to his mother, to get it. In his heart, James knows he must face his own quarantine. Little did he expect that seeking his book's ending is going to be turbulent and exacting. THE EDITOR is an absolute precious read. I enjoyed Rowley’s writing style and wit. The book is not mawkishly sentimental and replete of ruminations. It is a son’s journey to understand his mother, just as much about having the courage to discover one’s past and about living forward. Hard truths can drive people apart. But great art can bring them back together. And by-the-way, this book has a particularly sensitive portrait of Jacqueline Kennedy and a plot -a very good one in fact. *Thank you, G.P. Putnam’s Sons and Edelweiss for the DRC in exchange for this unbiased review. *Kudos to Francesca Belanger for the beautiful book design. 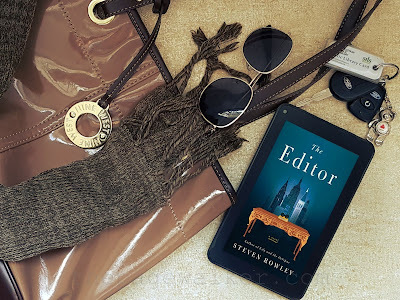 *Review contains a quote from an uncorrected e-galley. I promised to be brutally honest with this post, so, here’s hoping this is not like opening a can of worms instead. I do believe that I have to tackle this subject now, than later. IT has to be said. THE LIBRARY OF LOST AND FOUND is a familial story, one that can happen to anybody. The most interesting is how fairytales are employed to give weight to the unfolding of fresh truths. Each reflecting a bottled emotion – absolutely challenging and tugging. The naive language and structure of fairytales actually help deliver a moral lesson, meanwhile, reshaping allows new authors to provoke the mind and instinct, like, examine our position on gender roles, color, or social relations. This story is about three generations of women and how their choices have fermented such consequences for their family, and yet, I find it really difficult to blame them. It’s very rare that I reread a book straight away after, but I really felt that I must with this one. I enjoyed every minute with this book. It is simple and sincere. 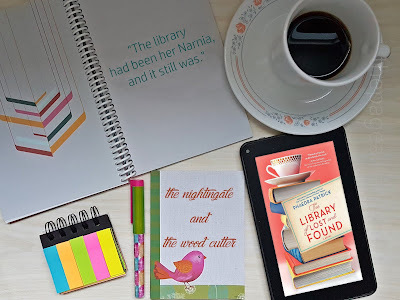 Please, do put THE LIBRARY OF LOST AND FOUND on your TBR. I cannot recommend it highly enough. *Thanks to Edelweiss and Park Row for the DRC in exchange for this unbiased review. Every now and then, I get questions from readers regarding book blogging. 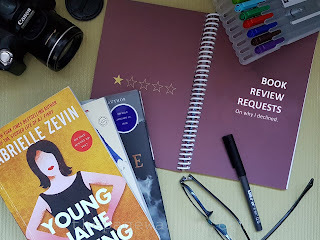 I am not sure if I am the best source of any book blogging information, really, but I’ll try to answer them as best I could. As a reader, you have to take everything with a grain of salt, of course. I compiled those questions and narrowed them down to these series of Q & As. Part 1 is the foremost among these questions is ‘How to get an ARC or Advance Reader/Reviewer Copy’. Answer: There are different ways how, and they all require different levels of commitment on your part as a book reviewer. Not every suggestion below is based on my personal experience, you have to try them yourself. Take it or leave it, sort of. This is something we have to cover first to answer the main question because not everyone simply gets a copy. To get an ARC you have to be a librarian, bookseller, educator, reviewer, blogger or in the media. ARC providers or publishers will ask librarians, booksellers, educators, and media entities to provide their organization and proof of affiliation. As a reviewer or blogger, providers or publishers will ask your main platform, site URL, how long have you been blogging, and how many unique page views you get per month on average. You may want to sign in with Google Analytics to provide you with such information. And if you are cross-posting to other sites, you have to provide them that URL, as well. WHERE TO GET AN ARC? Sign up. Fill up all the information needed. They have a help desk on how to make everything in your reviewing and reading life easier. Make sure to list all your preferred genres and favorite publishers. It helps when requesting for a copy. Different publishers have different rules on approving requests and posting reviews, read them. Sign up. Like Netgalley, you have to fill up all the necessary information and your preferences. 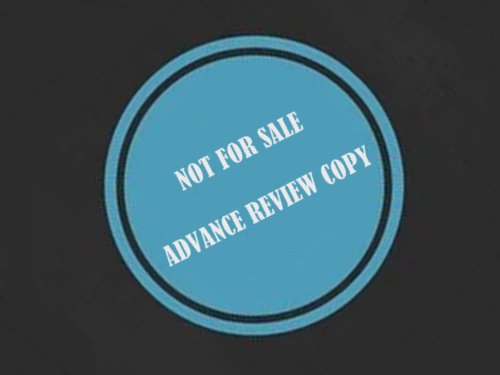 Review copies are divided into those you can ‘Download’ or ‘Request’. You will be asked for a strong reason for requesting a copy every time. There are groups that offer ARC. I am not a member of any of these groups and most of them are private groups too. So, you have to experience this yourself and find out if it suits you. Goodreads also offers giveaways. It’s legit! I’ve won a couple of times and they sent me printed copies. Penguin Random House offers this program to US residents only. And I really wish PRH Canada offers it too. These are for Young Adult, Middle Grade, and Picture Books. You need to fill out their Blogger Request Form. Again, this is only available for US residents. Being on social platforms, look out for blog tours. Most Blog Tours are run by publicity companies (there are plenty, believe me) and they offer services to authors, which include reviews from bloggers. You sign up for their virtual book tours to get review copies. Most publisher websites offer newsletters for their followers, opt to sign up. They [almost] always host giveaways. At the very least, you will know which books are hot on the shelves and which are most expected. Publishers also offer their imprints’ emails. Although, most of them do not approve individual customer request. Let authors, publicist, and publishers find you instead. If you are diligent in keeping up your blog, they will keep you on their list. As the website says, it is the easiest way to be a reviewer. If you are reviewing for free [like me], you have to be aware that this site [same with Netgalley and Edelweiss] is free for reviewers but not for authors. You have to read thoroughly before signing up. Quick reminders for new bloggers, though. (1) I highly recommend that you put up a Review Policy, no matter how small your site is or irregular your reviews are. Review request will frequent sooner or later. 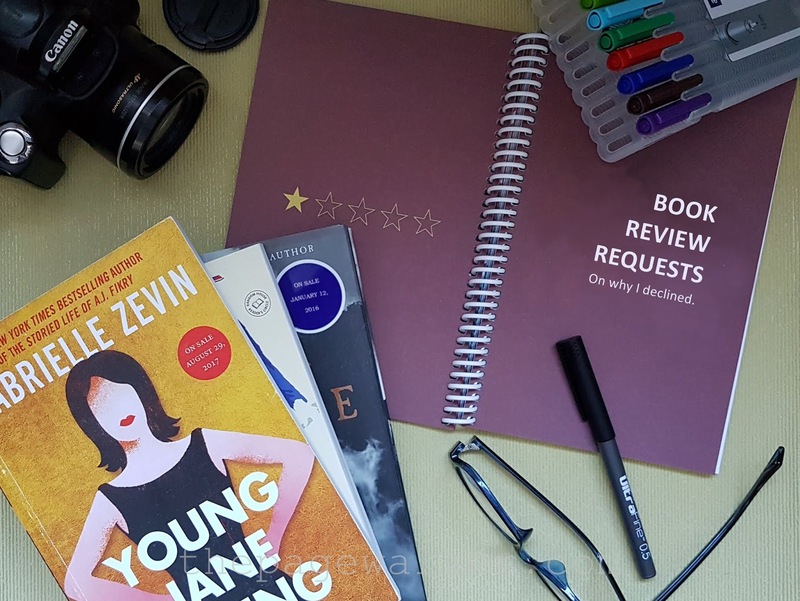 Your Review Policy will help you narrow down to what you really want to read or host and when to best accommodate them. (2) Review copies cost both authors and publishers. And digital galley proofs are limited. Decline offers if you cannot accommodate them as soon as possible. If your request is approved, be kind enough to provide them with a review, even a short one. If you really can’t provide one, give them an honest reason why. (3) The truth is rejection will happen more than you expect it, keep requesting anyway. Here's my rant on how I handle rejection. I hope part one of this Q & A series provided you with some answers. Part two will try to answer why I decline or do not respond to some review requests. I’ll be brutally honest, PROMISE! My resources is limited, if you can add more ways to get ARCs, please comment below.